It might be more politically correct for me to ask if are you sharing saliva, rather than swapping spit, but either way, the answer would be the same. Yes! Most of us, in one way or another, are transmitting pathogens through our saliva. It’s very interesting, although not surprising, that when testing the saliva of spouses, their pathogen profiles are very similar, sometimes even identical (example charts). This makes sense since we are cohabitating with our spouse on an intimate level. When it comes to pets, allowing them to drink from our cup or glass, or sharing food, like an ice cream cone, puts us at risks for the sharing of bugs. When it comes to our kids, the same is true. If mom or dad has symptoms of periodontal disease (or tooth decay), those pathogens get transferred to offspring at a very early age. As soon as teeth erupt (6-8 months), pathogens can be harbored. We see the real world application of this scenario when entire families are patients and they all have periodontal disease activity (or tooth decay). Are we swapping spit? Absolutely! The good news is, with today’s technology we can know exactly which bugs, in what concentrations are causing the problem. Inspired Hygiene offers a wide-array of coaching services, including implementation of salivary diagnostics/pathogen testing. If you are interested in taking it to the next level, please contact us for more information at info@inspiredhygiene.com or 877.237.7230. How do you track adult fluoride with the new codes? Some teams just know how to have FUN! And the team of Drs. Harris and Reynolds in Little Rock is one of them. I had the distinct pleasure of spending two days in this practice last week. They had thought for YEARS about bringing in a hygiene coach to help them up-level their perio program, restorative co-diagnosis and hygiene systems and now was the time! One thing I love about this team is that while they were referred to us by practice management consultant, Sharon Tiger and their financial advisor at Cain Watters, Dr. Harris was very clear with me on his objectives for the consult. In his doctor questionnaire he stated and I quote “We will not sacrifice quality care to increase production”. The ironic thing is that high quality care automatically creates a highly productive hygiene team. You’ve probably heard me say this before but here I go again. I fall in love with our industry all over again every time I hear a doc say…’the reason I called you is because we notice that our hygiene numbers are down. But really, we just want to be sure we’re doing the best for our patients and we need your help”. And I will tell you that when I meet these teams in person, they walk their talk. So…one high level service that increases productivity is adult fluoride. With the changes in the codes in 2013, it’s a little trickier to differentiate and track adult fluoride varnish and child varnish procedures. So in this week’s video, I’ll give you some simple tips so you can track how well you’re doing with adult fluorides. Happy Spring! It’s finally reached us here in NC, and I hope that if you’re still in the cold that you’re at least seeing some small signs that warmer weather is on its way! 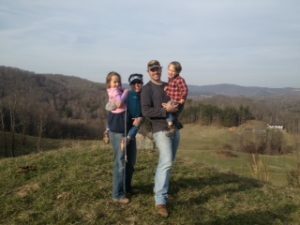 Last week, I snuck away with the family for a couple days of Spring Break in the Blue Ridge Mountains. We love this area for helping us unwind from ‘city’ life and spend some time together in the country. On the heels of Valentine’s Day and Easter, it’s appropriate that we feature our upcoming Hygiene Profits Mastermind called ‘America’s Sweet Tooth Obsession and Its Impact on Oral & Systemic Health’. I’m so curious to hear Karen share not only how sugar effects our oral health but also our systemic health. There are some sources that claim sugar is a big player in INFLAMMATION. And if you listened to our February call about inflammation and heart disease, you won’t want to miss this one. Scroll down to learn more about the upcoming call and see how you can take advantage of our FREE 2-month trial offer if you’re not already a Mastermind member. Tips to motivate patients to reclaim their health! With the strong yet gentle leadership style of Dr. Yon Elejabarrieta, he and his team at Artistic Smiles of Miami worked together to successfully implement the new services and systems that they had agreed to during our two-day workshops. They understood that in order to achieve the goals they set out to accomplish, they needed to DO two things: they each needed to make a personal commitment within themselves, and then also work together as a team in order to be successful. This new process made it possible to get their high priority care patients from the waiting list into the schedule quickly. 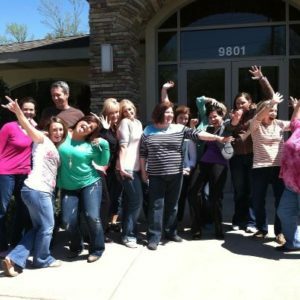 In the first month of implementation, they reduced their open time from 23% to 15%! Having the whole team calibrated on the appointment flow not only increased productivity and treatment plan acceptance, but it helped decrease no shows due to a fully educated and informed patient. Take a look at the growth within the hygiene department, led by the dedicated and hard work of the entire team over the past three months! 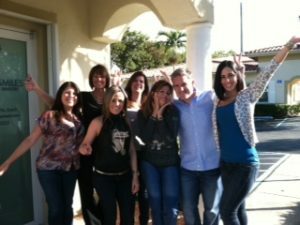 So whenever I hear that old Will Smith song “Welcome to Miami” I smile with pride knowing there is “a whole lot of good things shaking” with the team at Artistic Smiles!